How Far Should One Rely on Opinion Polls? It was reported that during the month of January 2017, an opinion poll was conducted by the Barbados-based Caribbean Development Research Services Inc. (CADRES). This institution is managed by pollster Peter Wickham, the same pollster who correctly predicted the general election in Grenada in 2013. The general results of this latest poll were released on 10 March 2017. The poll predicted that if a general election was called in Grenada around the time that the poll was conducted, that the New National Party (NNP) led by Prime Minister Dr Keith Mitchell was likely to win. 40% of persons who took part in the poll were in favour of the NNP and 18% were in favour of the main opposition party, the National Democratic Congress (NDC) led by Senator Nazim Burke. The “preferred political leader” was determined to be Dr Keith Mitchell, who received the support of 46% of all those who were polled whilst Sen. Burke received 19%. In general, with a margin of error of plus or minus 5%, the poll predicted that since the last general election in 2013 there was a 4% positive swing in political support for the NNP whilst there was a 7% negative swing away from the NDC. With the last date for general election not being due until 25 June 2018, and with a date not yet being announced for the holding of same, it is understandable that 39% of all those polled refused to respond to the poll questions as the political climate is still lukewarm in Grenada. One may well ask the questions: What is an opinion poll? How far should one rely on an opinion poll? An opinion poll is a survey which has been conducted from a sample of a population in order to obtain a representative picture of how the population thinks. Usually, the survey is designed to include a series of questions which are posed to individuals in a particular sample for the purpose of extrapolating generalities. Samples may be quite small in comparison to the size of the population. For example, in the case of Grenada, with a population of about 100,000 people, an appropriate random sample may be about 500 to 1,000 people. Surveys are not 100% reliable but are subject to a measure of bias. That is why pollsters usually give the caution that their surveys come with a stated margin of error. In the case of the Grenada polling, the stated margin of error was plus or minus 5%. Levels of bias may be predetermined by several factors. These may include how the questions were prioritised; whether a sample was more biased towards a particular sector of the population and whether the sample size in relation to the population was appropriate. Repeating a survey over periods of time may help to reduce the margins of error. It must be emphasised that opinion polls in general only reflect the picture of a certain phenomenon at a particular moment in time. What may be discerned from the Grenada poll is that if a general election was held in Grenada at the time of the taking of the poll, then it was likely that the NNP would have formed the next government. However, if the general election is held several weeks from the time that the poll was taken there is no guarantee of such a situation. An opinion poll which outlines the thinking of the population assists relevant parties to assess their strengths and weaknesses. In so doing they are in a good position to take appropriate remedial actions if they can do so in a timely manner. It may well be that parties still have the time to readjust their political strategies as a date has not yet been set for the holding of the next general election. In accordance with sections 52 and 53 of the Grenada Constitution, the latest date that a general election may be held in Grenada is 25 June 2018. Section 52 (2) and (3) of the Constitution provide that unless sooner dissolved and in the absence of a war in which Her Majesty may be involved, Parliament shall continue for five years from the date of the first sitting of Parliament after any dissolution of Parliament. 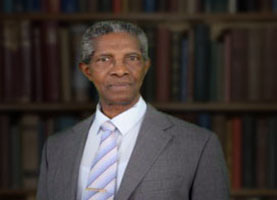 It is to be noted that the first sitting of the Keith Mitchell-led Parliament following the last dissolution of the 2008–2013 Parliament of Prime Minister Tillman Thomas was 27 March 2013. 5 years would therefore end on 26 March 2018, leaving 25 June 2018 as the last day following the three month period after dissolution. As Grenadians did not take the opportunity to amend the Constitution during the November 2016 Referendum to have a fixed date for the holding of general elections, the incumbent Prime Minister will continue to hold that date close to his or her chest. This date could be called at any time.